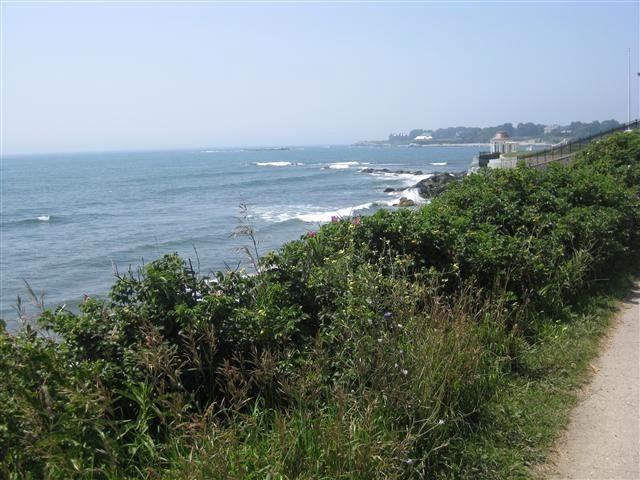 Last week, we bid our farewells to New Hampshire and Massachusetts and headed down to Rhode Island for the remainder of our trip. 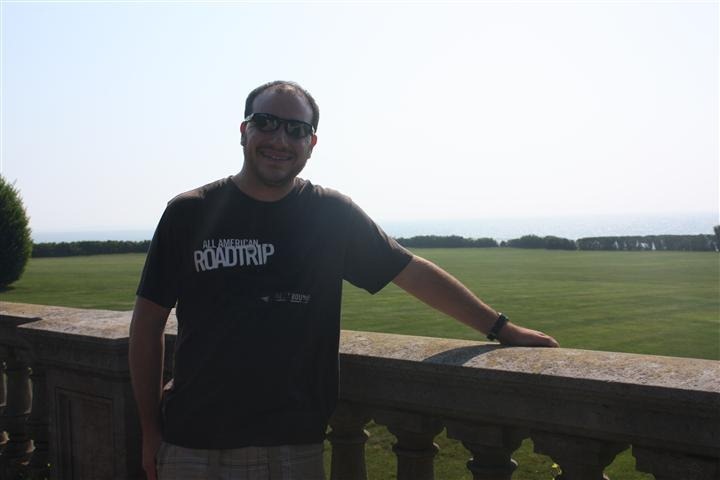 We rented a car from Logan Airport and hit the open road. But first, a very important stop…. 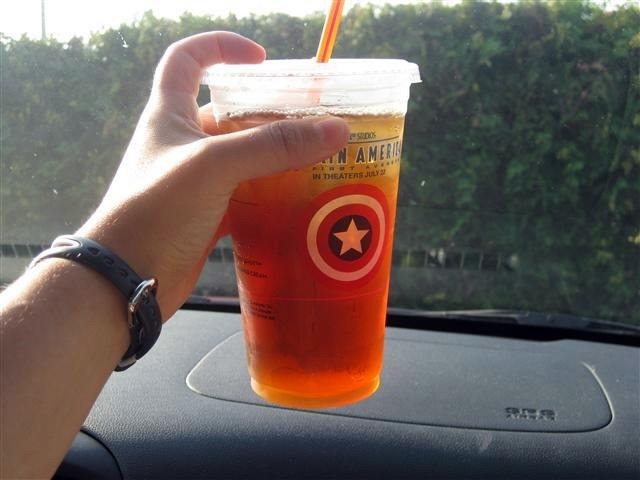 I am still avoiding coffee, so I got an iced tea hoping that would fill the void… it wasn’t as good as I had hoped though. 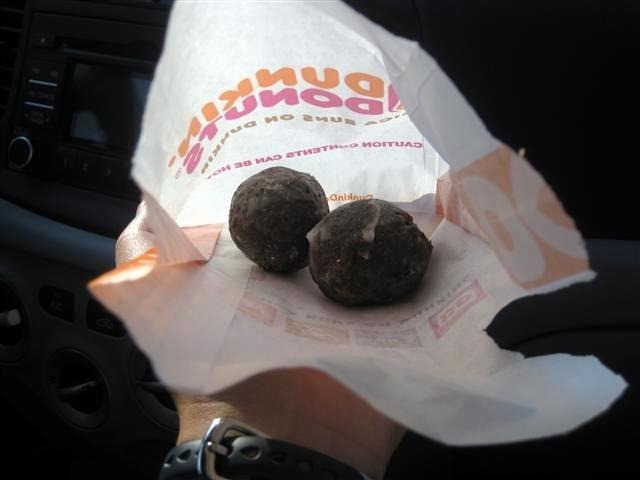 And two chocolate munchkins… because we don’t have Dunkin’ Donuts in Los Angeles and I miss them! After an hour or so of driving, we arrived into Newport. 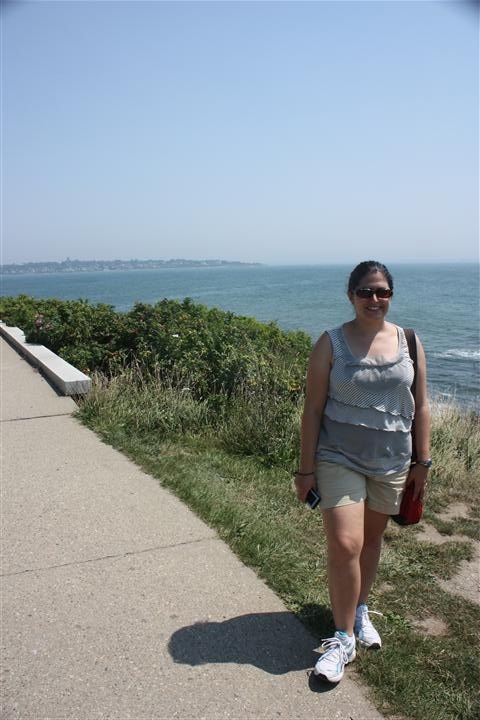 I grew up in Boston and I’m still shocked that we had never ventured down there before. 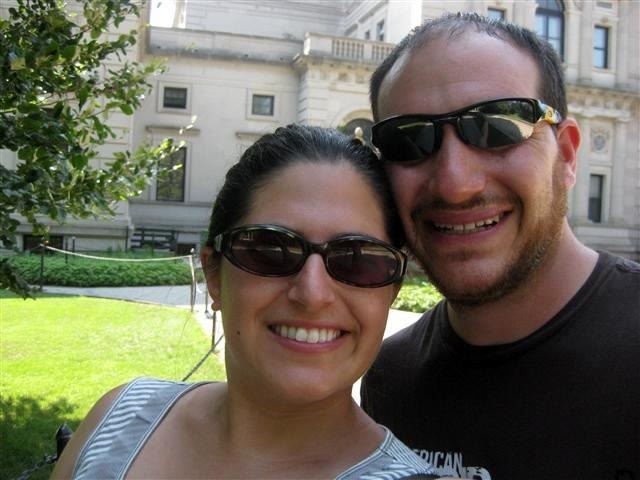 There is so much to do in the Providence/Newport area and we were really excited to spend the weekend exploring. 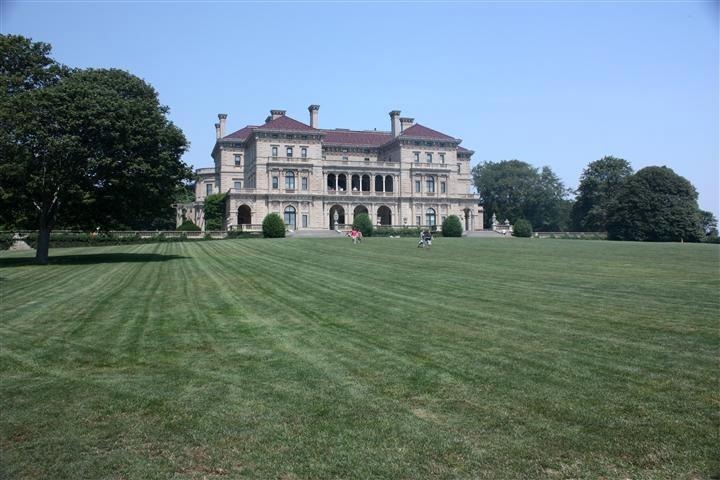 But #1 on our Rhode Island to-do list was seeing some of the Newport Mansions. 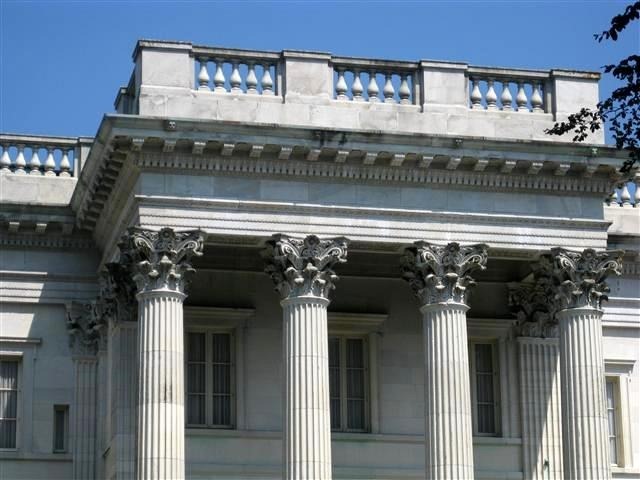 They are world-renowned and such a huge part of United States History. 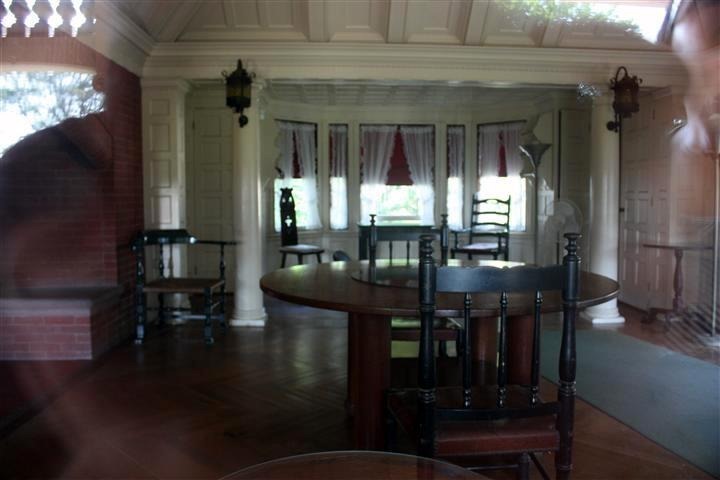 Each of the mansions was commissioned by some great American visionary and the walls all have so many stories to tell. 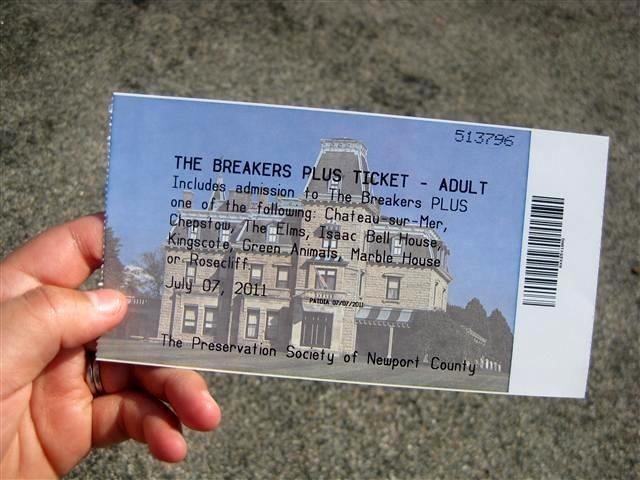 Special thanks to The Preservation Society of Newport County for providing me with complimentary tickets to visit the mansions. 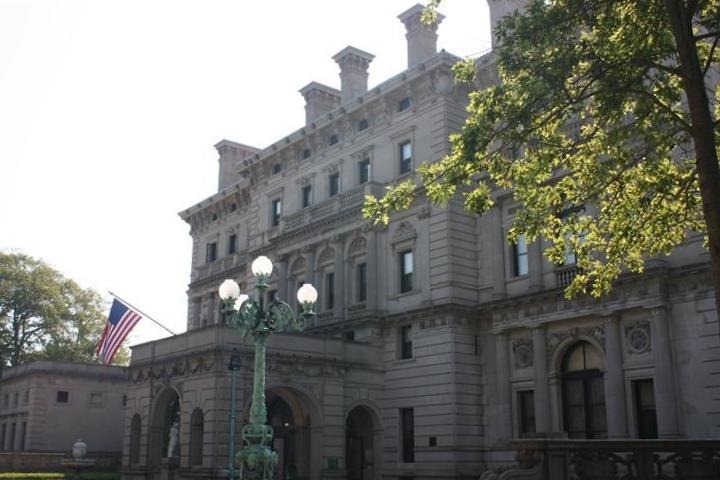 The Preservation Society manages 11 historic properties and 7 of those are now National Historic Landmarks. We had plans to visit anyways and all opinions in this post are my own. 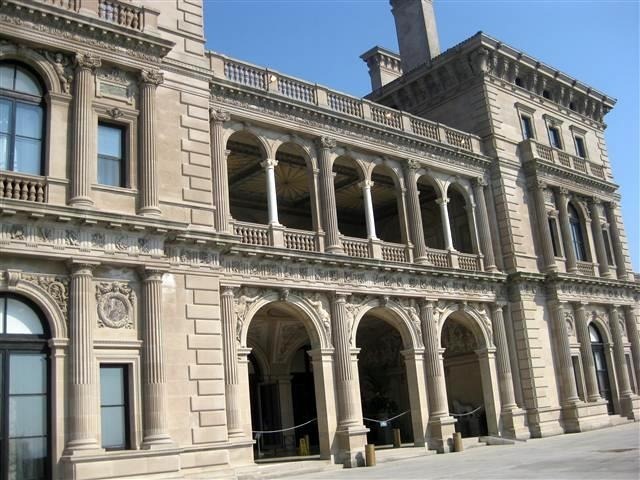 We had “The Breakers Plus” ticket, which includes entry and an audio tour at The Breakers and one other property. We found that this was perfect if you only have one day. The tours are very engaging and in depth and I’d recommend going for multiple days if you want to see multiple houses. 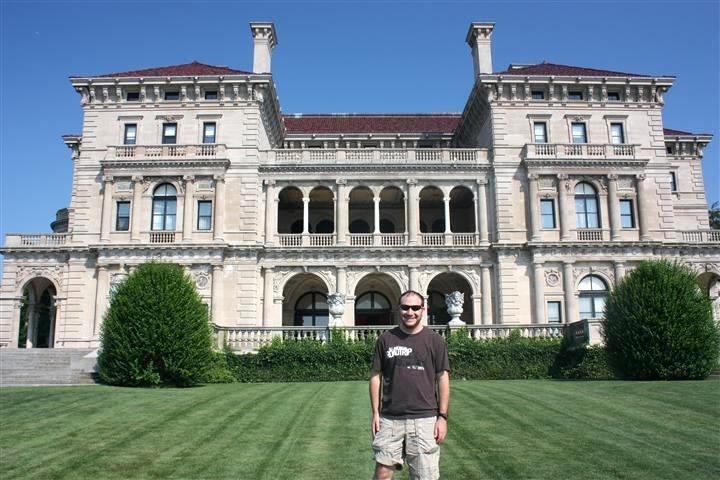 We got to The Breakers right when it opened (which was nice to avoid the summer heat and some of the crowds). 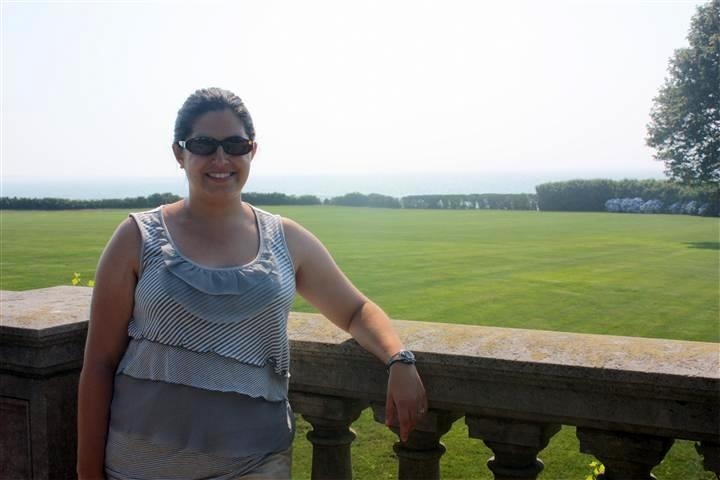 When we arrived, we first walked around the grounds to get an idea of how big and grand this house really was. 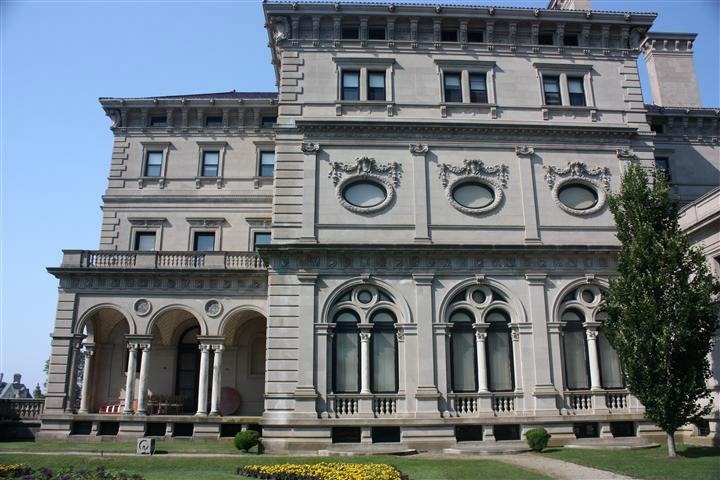 The Newport Mansions were not considered “mansions” or “homes”, but instead were considered to be “summer cottages” for America’s elite. 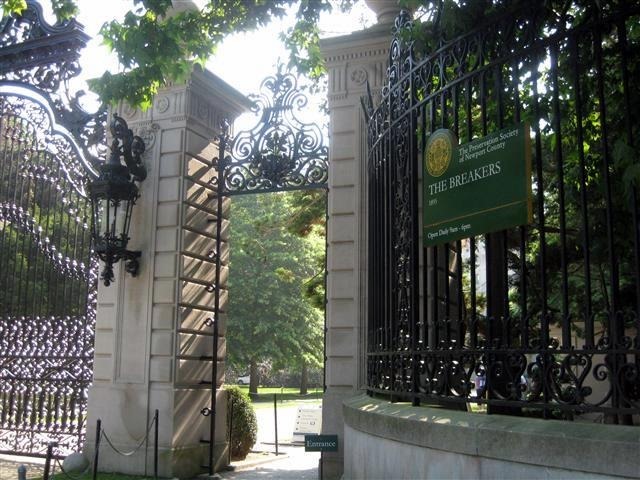 The Breakers is the largest of all the Newport “cottages”. 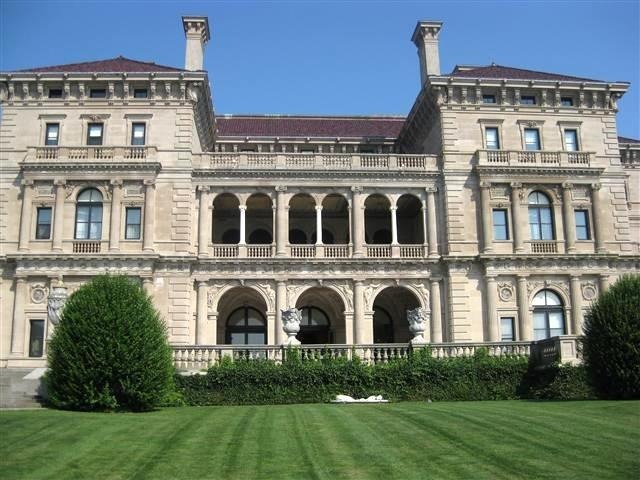 It was built in 1895 by Cornelius Vanderbilt II who was the President and Chairman of the New York Central Railroad. 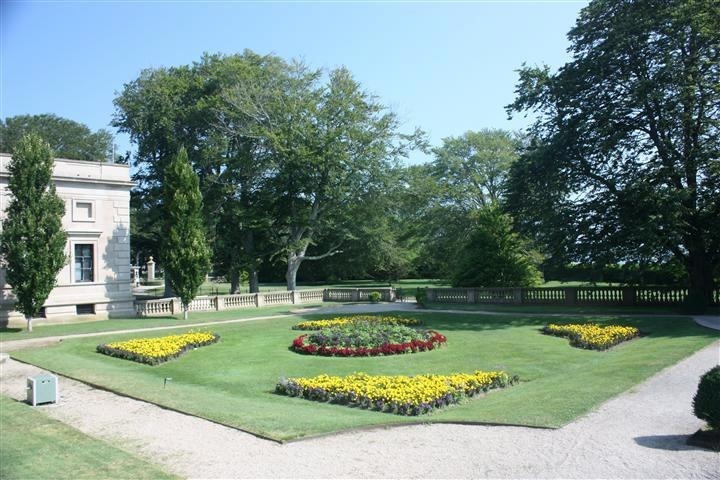 The Villa house has 70 rooms, all created in the Italian Renaissance style. 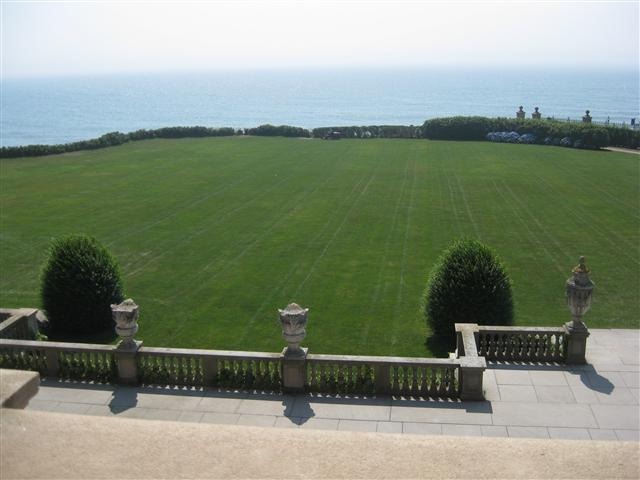 The grounds outside were just as incredible as the house itself. 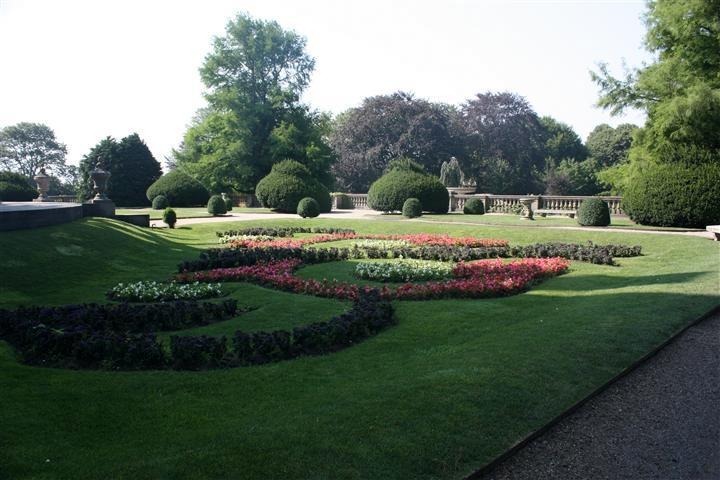 There were gardens, walking paths and flowers. 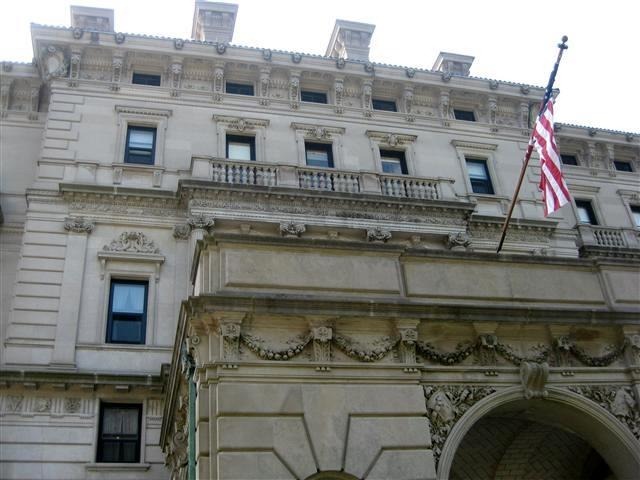 They say just about everything was just as it was when the Vanderbilt’s lived there more than a century ago. 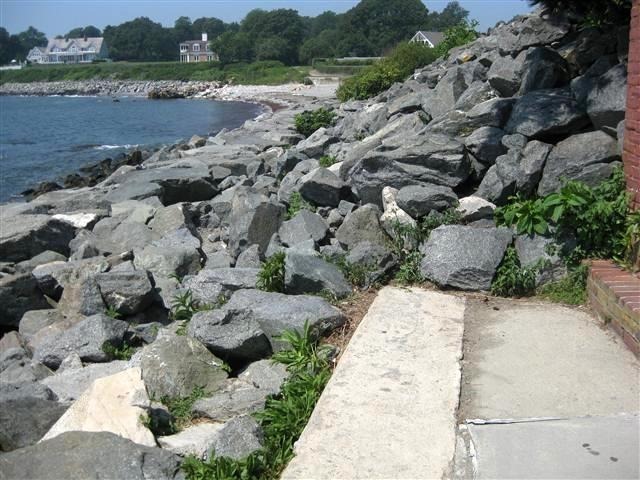 But of course, one of the most impressive things about it is that the yard is that it sits right on the shore of the Atlantic Ocean. They even need a special wide lawn mower to take care of the grass. 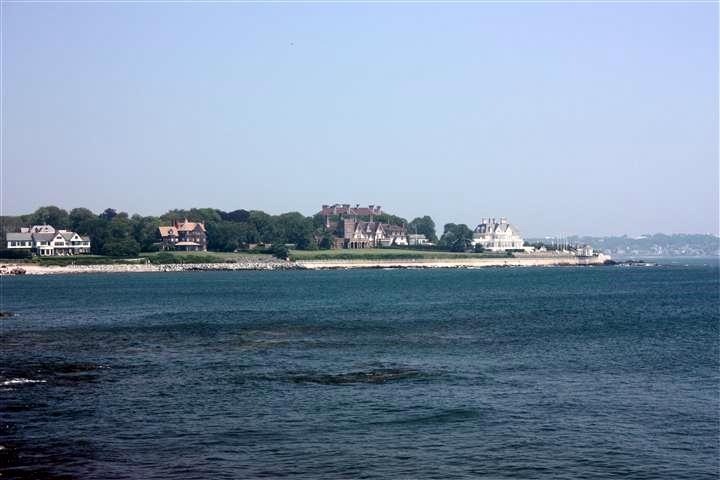 In all, the estate is 13 acres. The craftsmanship was unparalleled. It really does look like it could have been from Ancient Rome. Americans hadn’t really seen architecture like this in our country prior to these homes. And look at those gorgeous oval windows! When we were walking around the grounds, we stumbled upon this cute little house. I’m sure you’ll be as surprised as I was to learn that this was the children’s playhouse! Those were some very lucky children! Once we got back to the front, it was time to go inside and begin our tour. 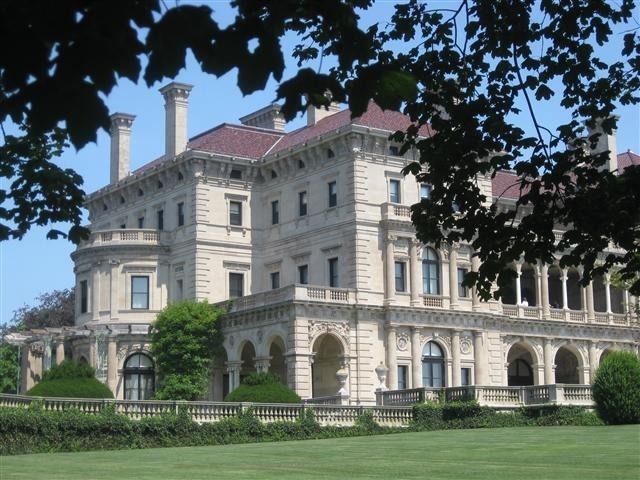 The Breakers has an incredible audio tour (included with your ticket). It takes you through almost all of the rooms, describing in detail about the architecture, furnishings, history and everyday life that happened there. We were really taken back in time as we walked through. The descriptions were so vivid and the rooms came to life. You are not allowed to take pictures inside of the mansions, but everything about it was impressive. 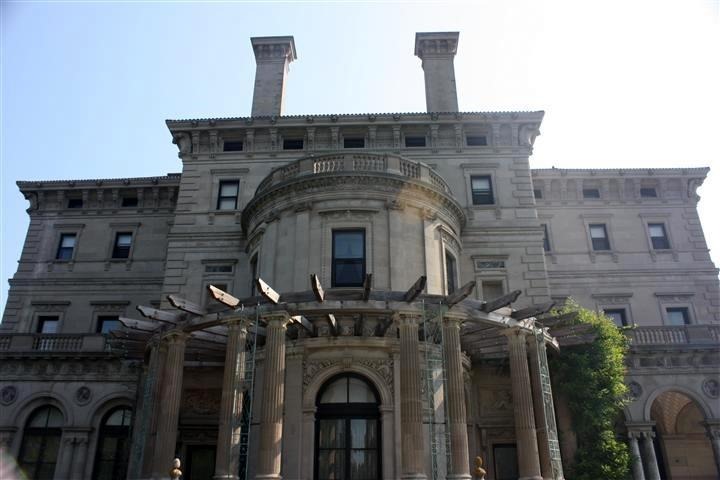 The mansion was commissioned by Cornelius Vanderbilt II, but it was designed by renowned architect Richard Morris Hunt. 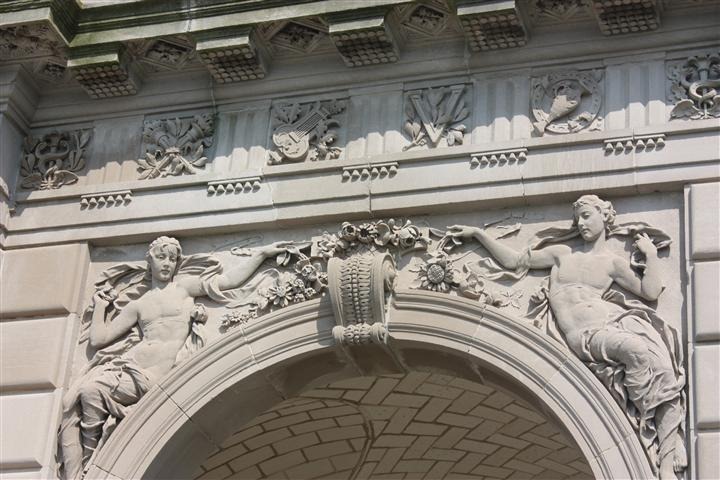 Hunt is also known for designing the Biltmore Estate (the largest private mansion in America) and several other famous buildings around the world. 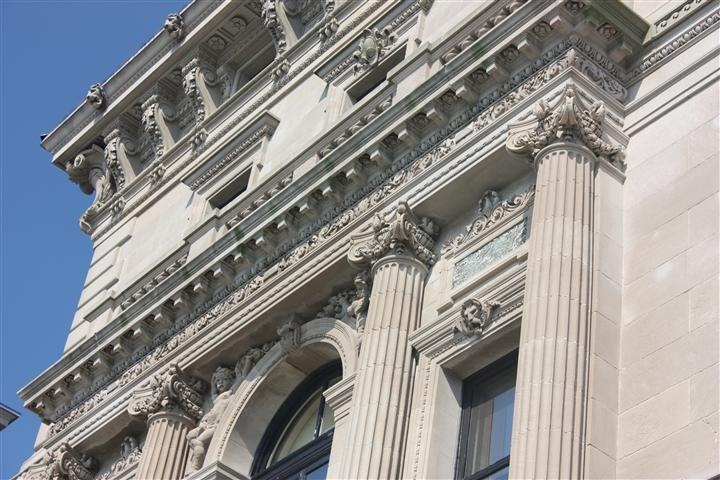 It cost $12 million dollars to build (over $300 million in today’s prices)! And it was only used a summer home. I felt like I was in the Great Gatsby. You can imagine the big parties attended by world diplomats, the women in their big gowns and the men in their finest suits. 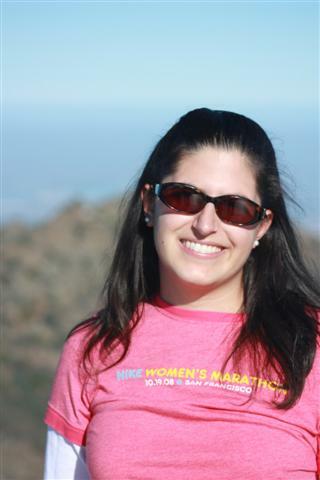 You can envision the how Vanderbilt’s daughter must have looked like when she entered the room for her debutante ball. A grand party with food and dancing that didn’t cease til 5am. A party that would become the talk of the world. 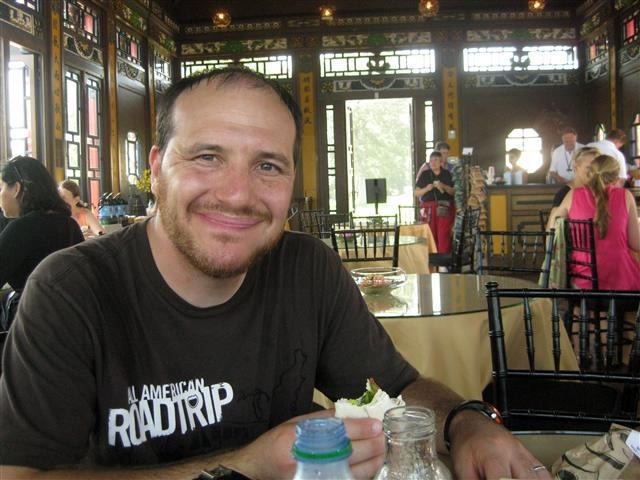 The dining room was covered in gilded gold paneling (thin gold leafs that were pressed onto the wood). The walls of one of the rooms was paneled in Platinum Leaf (so the color would never tarnish). This would have been extremely expensive and I’m not sure it’s ever been replicated elsewhere since. The bathtubs each had four water faucets. Fresh water (hot and cold) and salt water (hot and cold). Nearly every European Country had some kind of influence on the design. You can see pieces of England, Spain, Italy, France and so many more. 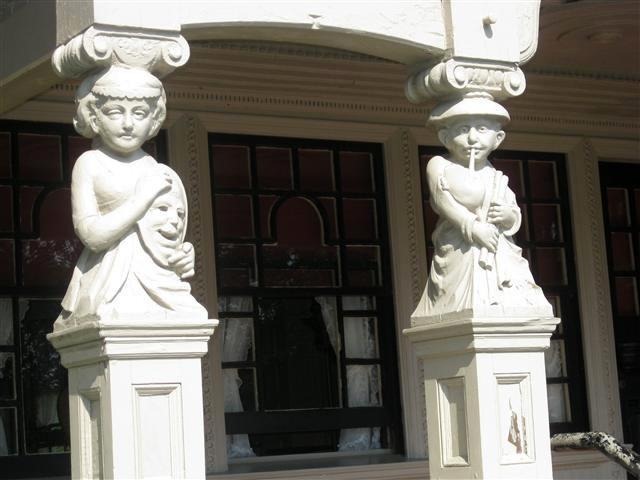 The billiard room had solid alabaster walls. The audio tour provided so much more than I could possibly remember. I left feeling as if I myself had actually lived there for a time. We very much enjoyed it. 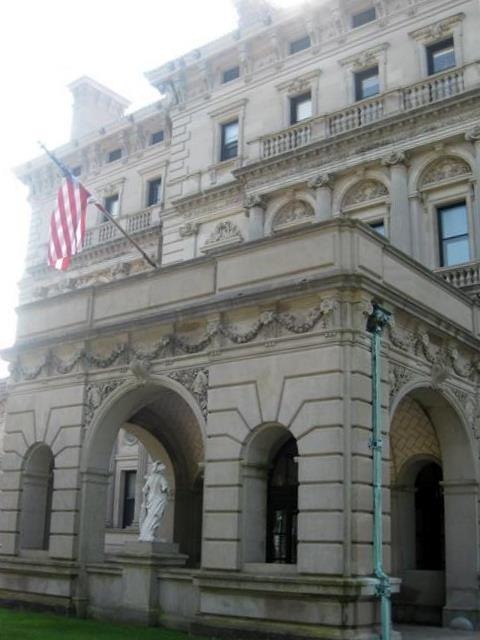 Also of note, they have a “Family Tour” available at “The Breakers”. I punched in the numbers for that tour and listened for a little bit and it was so cool! It’s the story of the Vanderbilt’s told from the perspective of the House itself. It still brings you throughout all the rooms, but told in a way that kids will understand. I love when people make history lessons come alive for kids. I would have loved that when I was little! 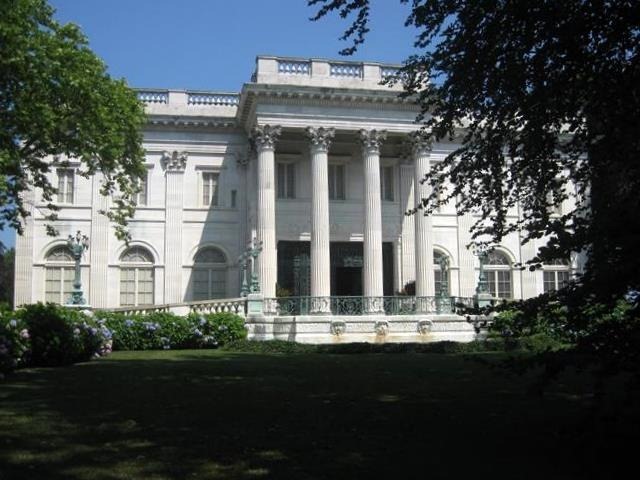 After our tour was finished, we wanted to our next destination, The Marble House. It was almost 90 degrees out. 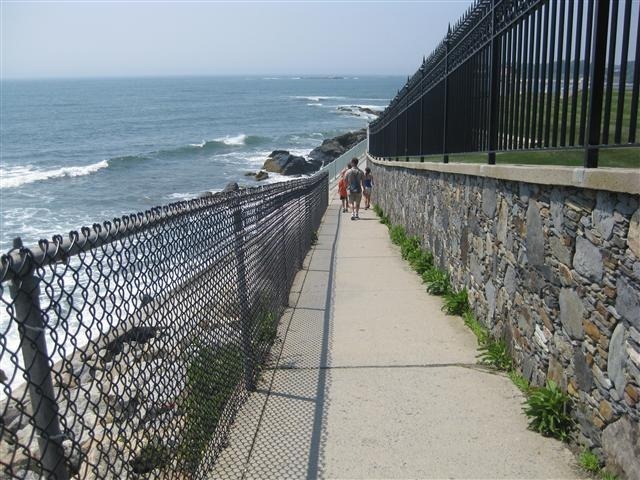 but we looked on a map and saw it wasn’t very far, so we decided to walk along the Cliff Walk. 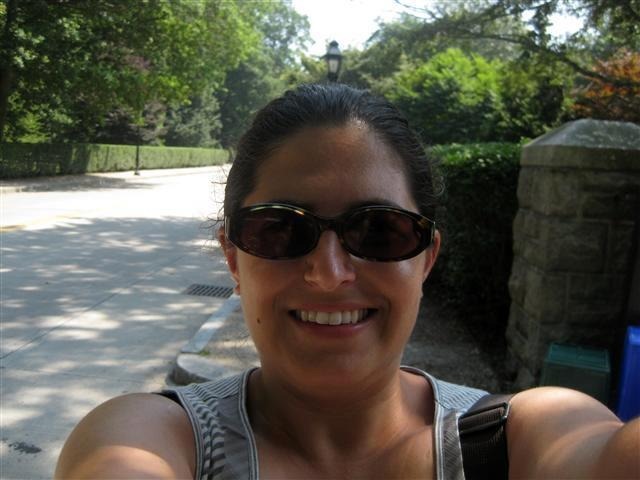 …but we soon realized that the path we were on did NOT actually connect to any of the other houses and we had to walk TWO MILES in the scorching heat to get out of it. 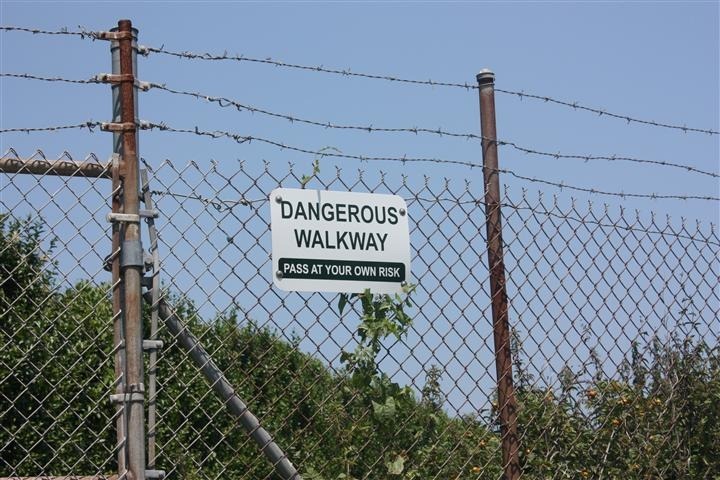 There was a sign that said noted the path was two miles long, but we didn’t realize that it meant there were NO EXITS until then! If it wasn’t so hot out, I’m sure it would have been great, but we were hungry, hot and cranky by then. It took us almost an hour and with no water and no shade, it was not very pleasant. 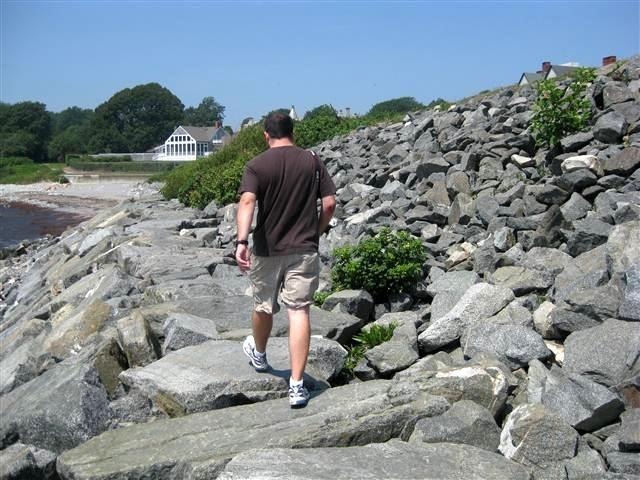 And the nice path turned into rock climbing too! Much of the trail looked like this! 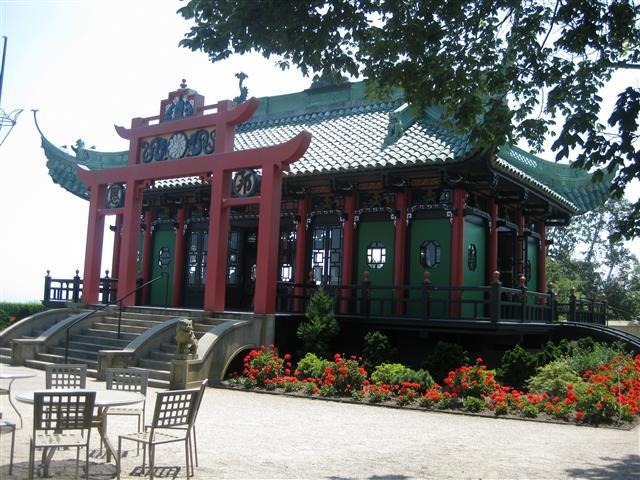 Our destination was the Tea House, located on the grounds of The Marble House, and we were sad to pass by it without being able to stop like we’d planned! They really should add a gate there for tourists who want to stop. Finally we got to the end and then had to double back on the road. We were happy for some shade. 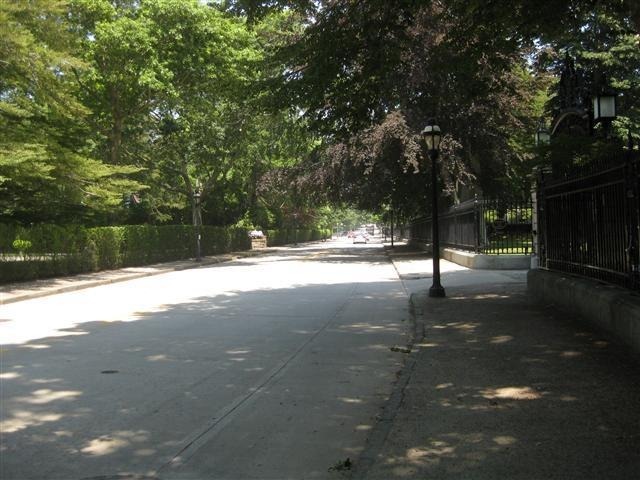 This is the famous Bellevue Avenue. And it feels like it is straight out of movie set. 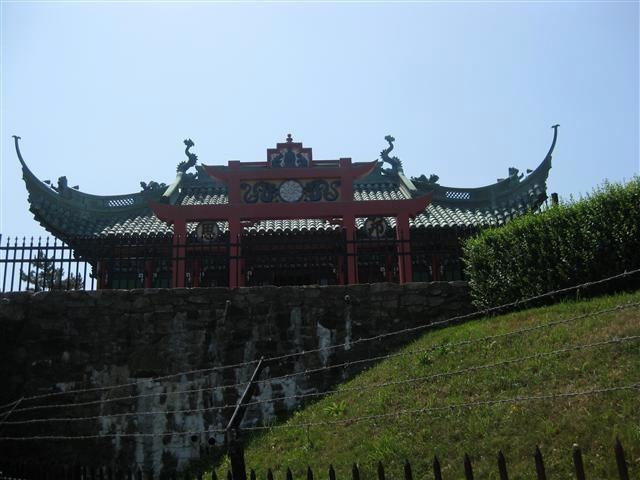 Each of the houses are incredibly large, ornate and beautiful, most built in the early 19th century. It was THE place to be for America’s elite. And then we arrived at the Tea House for some lunch. 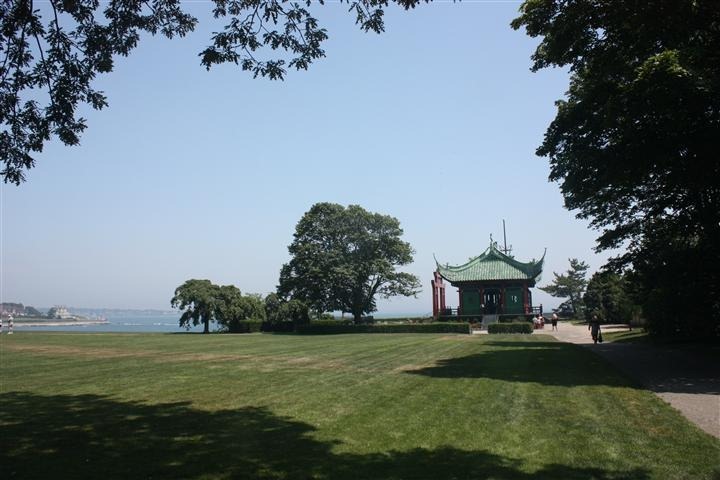 This Tea House was built by Alva, one of the wives of a Vanderbilt Son. She hosted rallies for Women’s Suffrage here. Alva was one of the most prominent supporters of Women’s Right to Vote during that time. 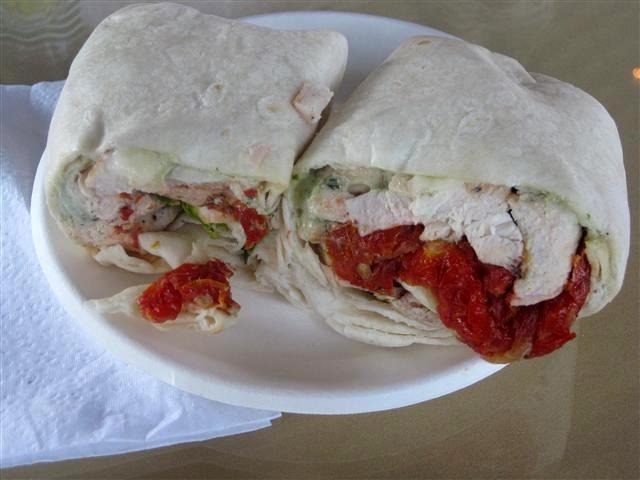 We both ordered chicken sandwiches, but were surprised to learn that they were pre-wrapped, catering style and didn’t come with any sides. But they tasted fresh nonetheless. I just wish they had a greater selection of food to choose from though. 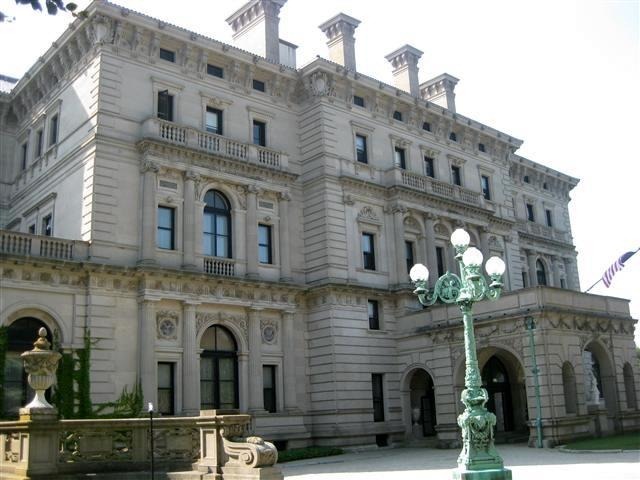 There are only two restaurant options among all of the Newport Mansions…. so we were expecting a little bit more. But the ambiance was nice. Despite the heat outside, it was pretty nice inside. We needed to cool off after our walk! 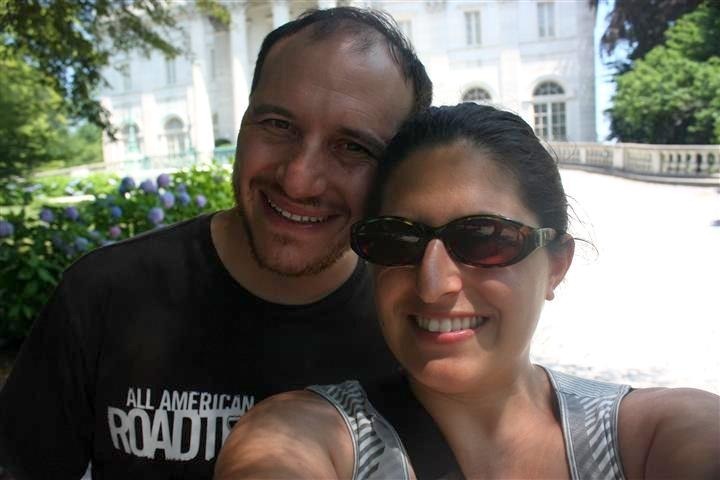 And then we began our second tour of the day at The Marble House. 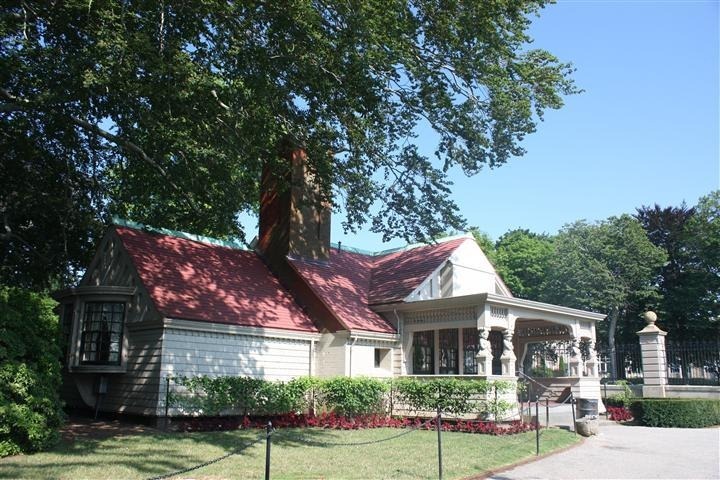 This “cottage” was finished in 1892 for William Vanderbilt. The house was a gift for his wife Alva as a 39th birthday present. 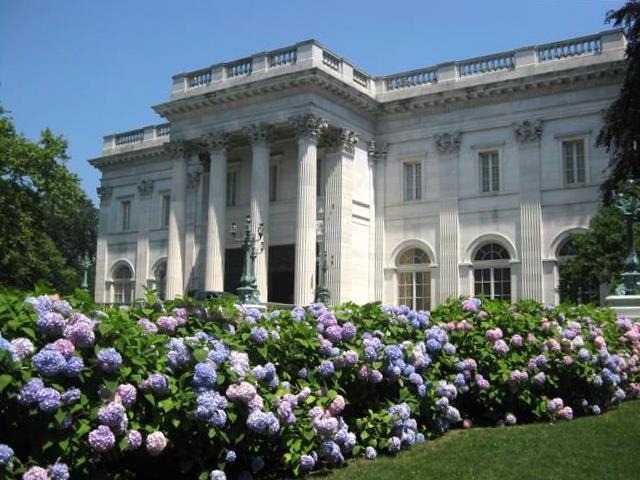 It was called “The Marble House” for good reason too! It contains 500,000 cubic feet of marble. Alva was very involved in the building of the house and made most of the decisions during construction and decorating. 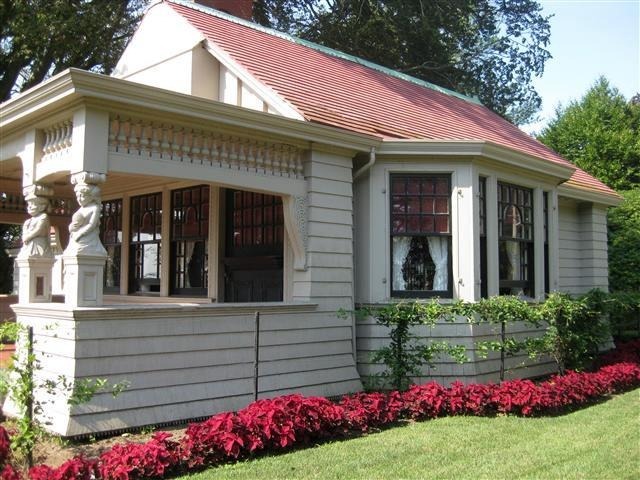 (William Morris Hunt was also the architect on this house too). I loved so many things about this house. It looks so presidential, almost reminiscent of The White House. But as grand as it looks on the outside, the rooms inside felt cozy like a home. You could really tell that Alva loved this home. 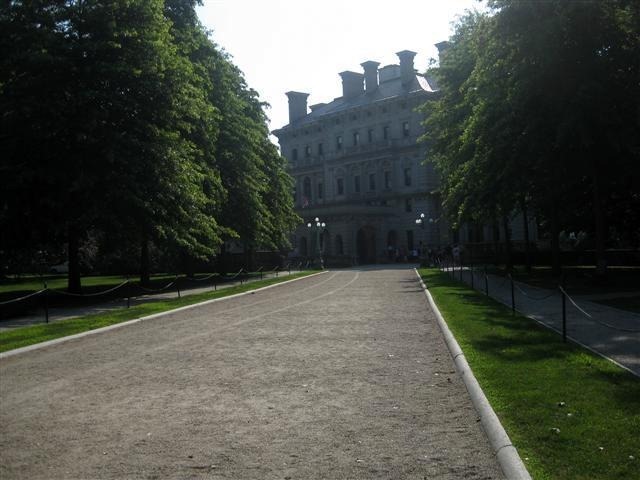 She had three children with Willam Vanderbilt, and it was fun to learn about them through the audio tour. My favorite part of this tour was learning how the Preservation Society restored the wallpaper in Alva’s bedroom. It was a custom design in a bright lilac color, but it had faded over time. When they restored the house, they found the same company who had originally made them more than a century ago… and the company is still in business! And not only that…they still had the ORIGINAL design templates in their archives! 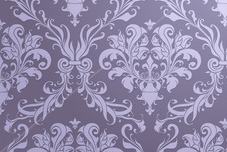 So the wallpaper you see, though reproduced, is identical to the original! So neat! I don’t have a picture, but it looked similar to this design. 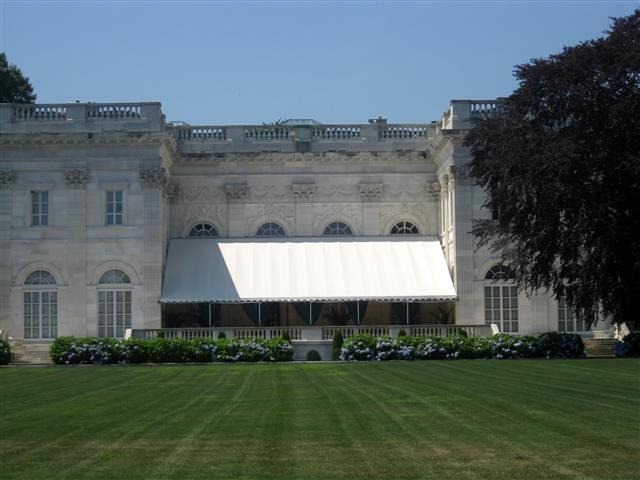 Another cool thing about the Marble House was it’s impressive display of “America’s Cup” trophies and memorabilia. Harold Vanderbilt (Alva’s youngest child) was a champion yachtsman. They even had the actual winning boat wheel that he used on each of his ships during the America’s Cup competitions. 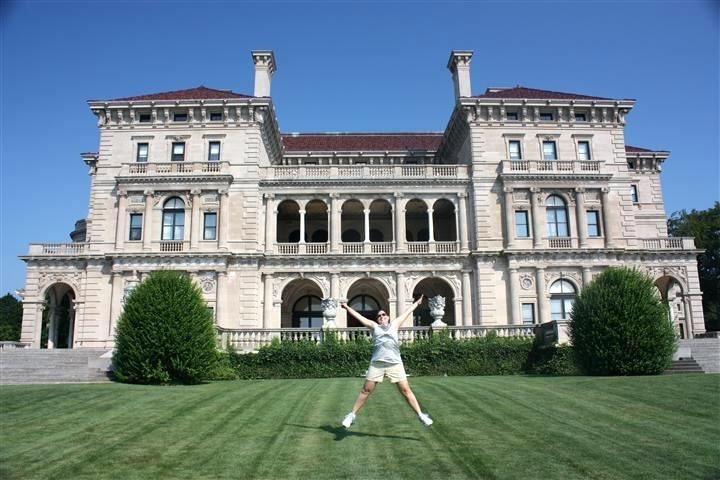 The Vanderbilt family had so much wealth and power in our country’s history. They invested in promising companies and led the way through a time where America was still redefining itself. To see two of the houses where all of this happened is really neat. We always joke that we will go half way around the world to see royal palaces, historic buildings and impressive architecture, but truth is, we have some pretty amazing sights in our own country too. Sure, they’re not as old, but they still have tons of historical significance. 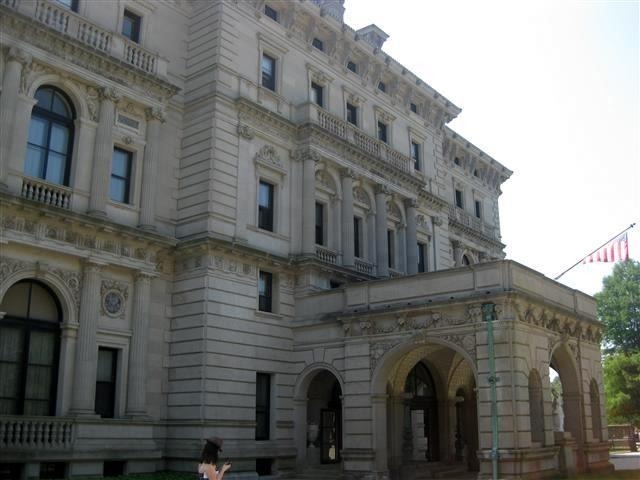 We loved the Newport Mansions and hope to visit again someday to see some of the other houses. 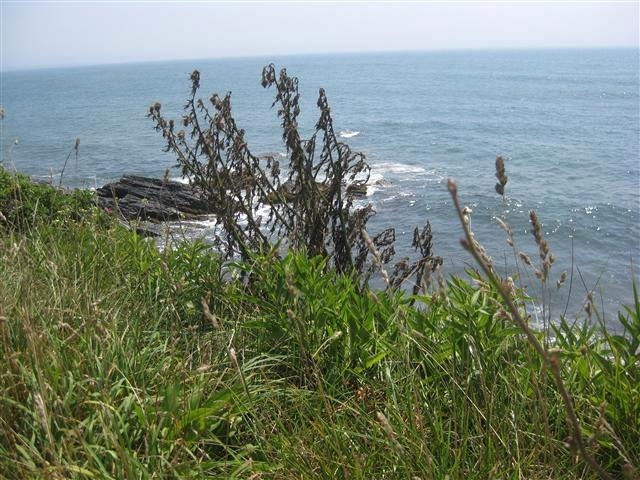 I highly recommend a trip to Rhode Island to see them, it is definitely worth it. 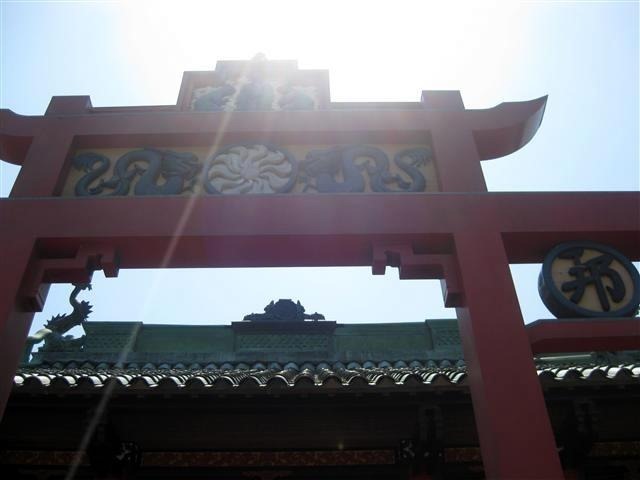 We wanted to spend more time by the seaside and walk around the downtown area, but it was just too hot. I bet it would be beautiful to visit in the spring or even in the fall. We are making it a point to seek out and enjoy more of what our country has to offer! 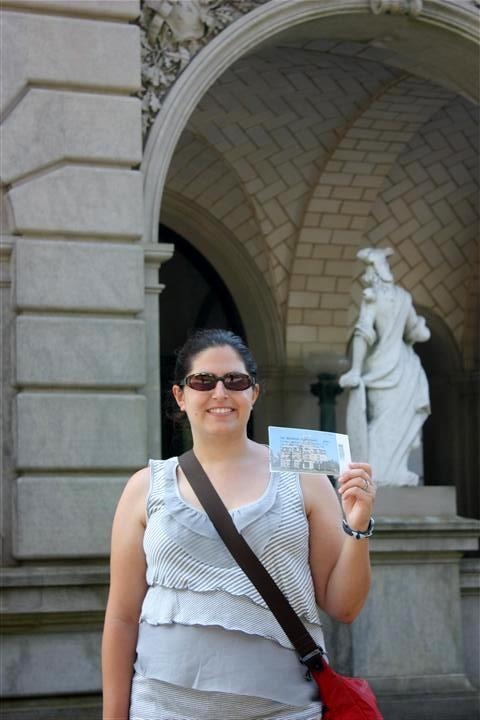 We still have Hearst Castle on our list in California! Talk about America’s Palaces! 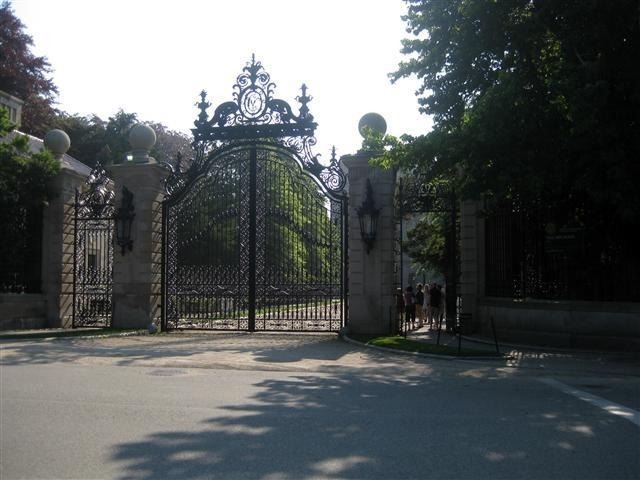 Did you see Astor’s Beechwood Mansion? That’s where Howard and I got married! 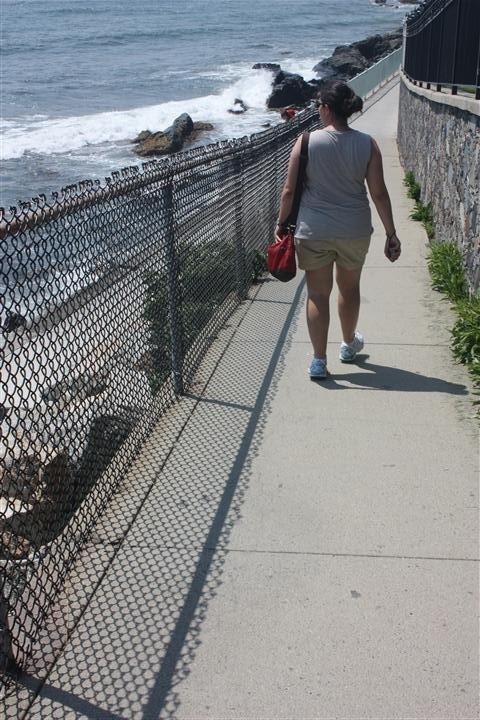 Aw I miss Newport…. I finally got to try Dunkin Donuts when we had a layover in Atlanta. YUM! Um, I want a playhouse like that.